Chapter 3 Page 15 added. Snow-by-Night reaches the utter north and her father’s icy mansion. 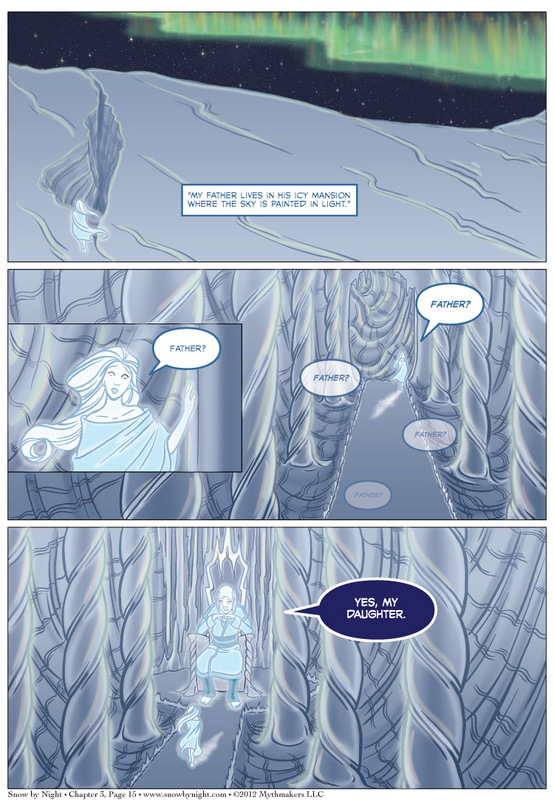 To see a peek at Snow talking to her father, vote for Snow by Night in Top Web Comic. nothing like walking down a long, echo prone hallway to start your day. More northern lights! More! More! Love it. So beautiful. What were you expecting? Superman? !